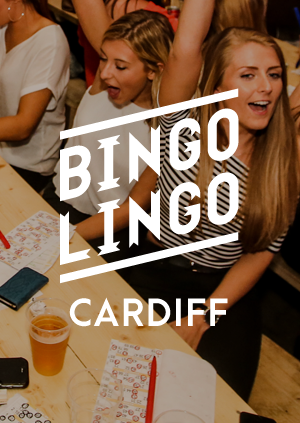 DISCLAIMER: • For full terms and conditions please vist our website: http://www.bingolingo.club/ •	No dancing or writing on the tables as you will be ejected from the venue immediately. •	If you book a table you are to be seated by 8.30pm otherwise management reserve the right to give your table away (no customer is to sit on a reserved table until the reserved sign has been taken off the table by management). •If you win a prize you have 7 days to collect if from the venue. Please note: the name on your ticket will need to match your ID. Management reserve the right to refuse entry at any time. Seats up to 16 people. DISCLAIMER: • For full terms and conditions please vist our website: http://www.bingolingo.club/ •	No dancing or writing on the tables as you will be ejected from the venue immediately. •	If you book a table you are to be seated by 8.30pm otherwise management reserve the right to give your table away (no customer is to sit on a reserved table until the reserved sign has been taken off the table by management). •	If you win a prize you have 7 days to collect if from the venue.